“Under Pressure” will always be remembered as the excellent work of two rock legends. It was a fan favorite which is why it was a staple in Queen’s repertoire for every concert and it was also often included in Queen and David Bowie compilation albums. And for this live performance, we didn’t know it was possible to outshine Bowie himself. 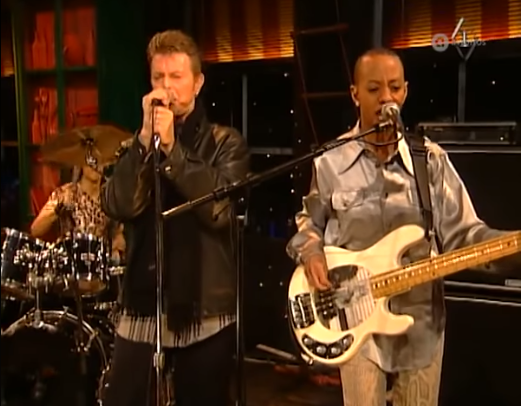 Bowie was his usual excellent self but it’s hard not to notice his bassist – Gail Ann Dorsey. She basically stole the spotlight because she’s doing double duties here and she did both jobs spectacularly! 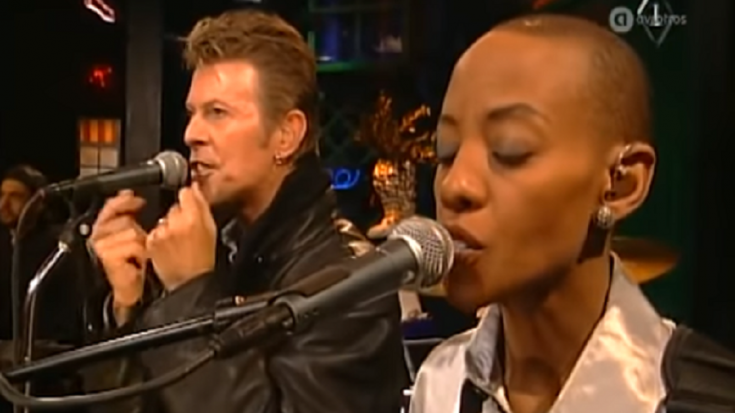 She played alongside Bowie for almost two decades and it’s easy to see why he liked working with her. Aside from Bowie, Dorsey has also worked with other artists like Tears for Fears, Lenny Kravitz, and The Indigo Girls. More than that, she has had a stellar solo career what with being a great bass player and having impeccable vocal chops to boot. Check out the video and prepare to be blown away!